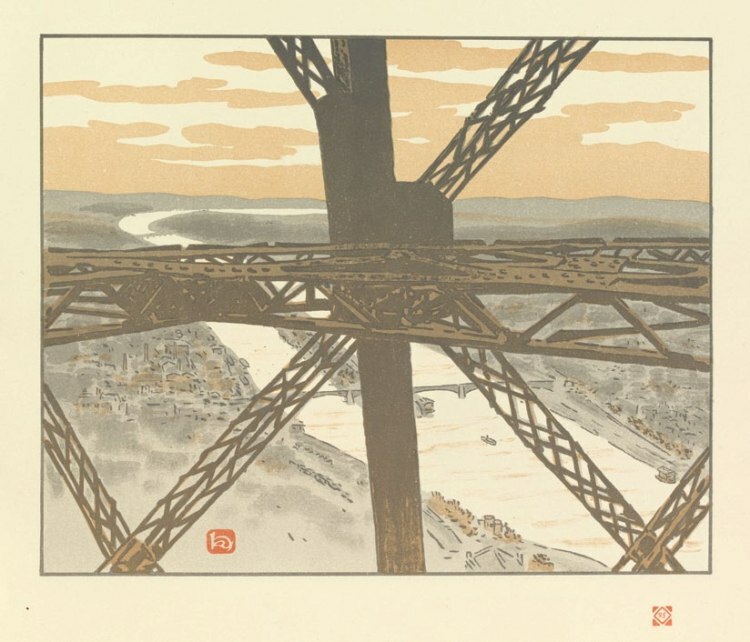 Visitors who have become enamored of Henri Rivière’s lithographs of the Eiffel Tower, which he published in Thirty Six Views of the Eiffel Tower, a take-off on Hokusai’s Thirty Six Views of Mount Fuji, might want to head over to the Smithsonian’s Freer|Sackler Gallery, where there is a special exhibition of Hokusai: 36 Views of Mount Fuji through June 17 as part of the Cherry Blossom-inspired Japan Spring celebration with the National Gallery of Art. Hokusai’s series established a standard of innovation in Japanese printmaking for years to come and was heralded for its startling compositions and technical mastery. Several rare, early prints with unusual coloration are included in the exhibition. Hokusai: Japanese Screens and Hokusai: Paintings and Drawings are complementary installations also on view at the Freer Gallery of Art. Phillips after 5 on April 5 took museum visitors on a Journey to Japan in celebration of Snapshot and the National Cherry Blossom Festival‘s 100th anniversary. 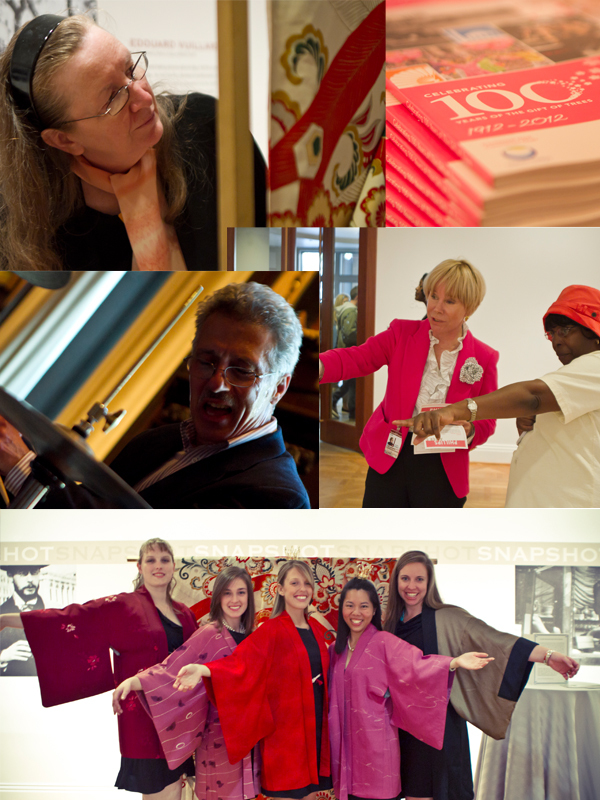 Former Cherry Blossom Queens and Princesses donned traditional Japanese kimonos on loan from Arise Gallery, guests participated in Japanese language lessons with a teacher from the Japan-America Society, and Project Natale entertained with smooth jazz throughout the evening. The blossoming of the cherry trees was a rite of spring for Washingtonians in 1922 as it is today. Around that time, Marjorie Phillips captured in oil paint a scene of delicate blossoms floating above the Tidal Basin. 1922 would have been the 10th anniversary of the planting of the trees; this year is the 100th. While peak bloom hit very early this spring, the festival continues off the mall tonight with a Journey to Japan at Phillips after 5. 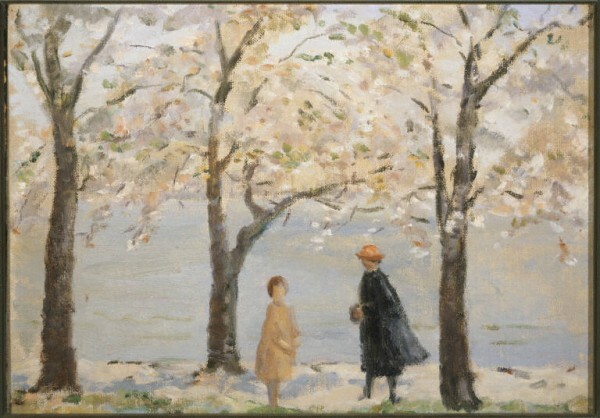 Marjorie Phillips, Tidal Basin at Cherry Blossom Time, c.1922. Oil on canvas board, 9 3/4 x 13 3/4 in The Phillips Collection, Washington, D.C. Gift of the artist, 1984.